Mike Trout and Bryce Harper. Bryce Harper was optimistic, and we were too. MLB even opened tampering investigations into Harper after he signed with the Phillies and immediately said he would lobby for Mike Trout — already one of the best baseball players of all time — to join him in Philly when his contract is up in 2020. That will probably never happen. For one, the 12 year deal looks like it will keep Trout out west for most of his remaining career, as it reportedly does not include any opt-out clauses. Rebuilding or not, there seems to be almost no incentive for Los Angeles to ever trade the South Jersey native as he will not be departing as a free agent. The deal also trumps Harper's, with Trout making an AAV (average annual value) of $35.8 million per year. Both his yearly salary and his total deal are records in not only pro baseball but in pro sports the United States. Many said the Phillies should wait for the crop of upcoming free agents and save their money this past offseason. 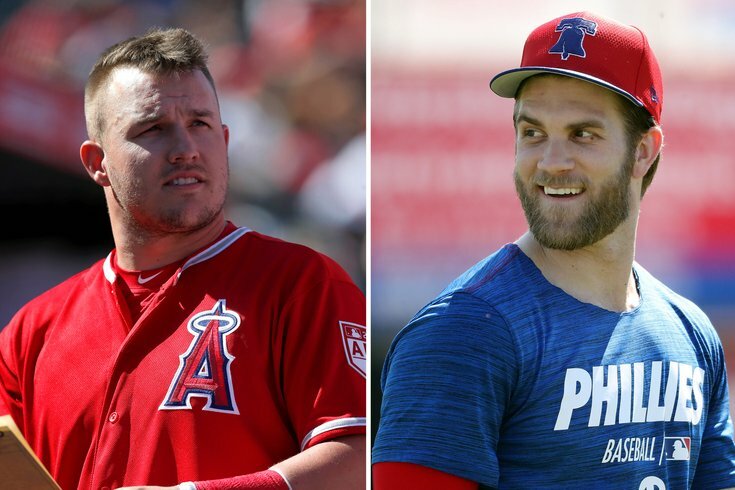 Trout, and a few weeks prior Nolan Arenado (who inked an extension with the Rockies) are off the board as teams seem pretty motivated to avoid repeating the free agent slog Harper and Manny Machado put everyone through over the last four months. The dream of a Phillies super team is dead. The dream of the hometown hero and Carson Wentz' BFF returning home is dead too. The NL East won't play the AL West until 2020, when there's a chance Trout will play in Philadelphia.